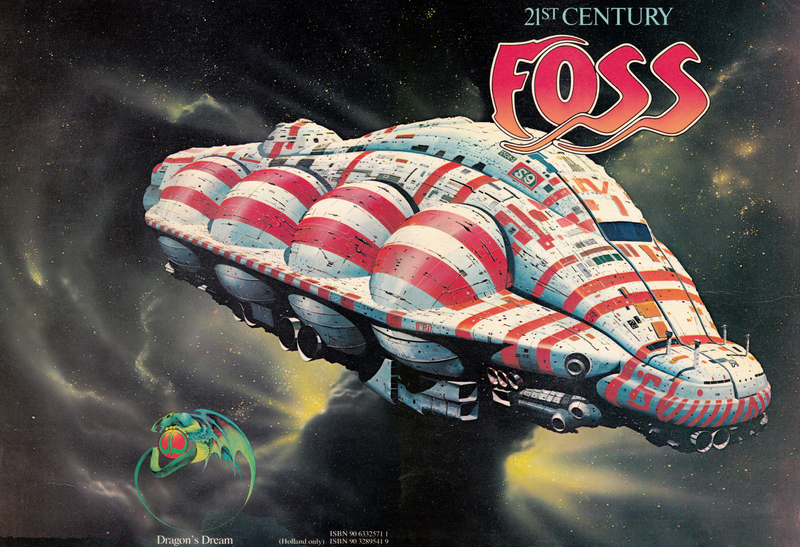 My most favorite SciFi artist and my favorite book, 21st Century Foss from 1978, with most of his paintings. I know that nowadays we can create real-looking stuff with al those cool digital imaging software, but somehow I find the art from the old days, like painting and model building far more creative. Since we still do not live in space, space can be as incorrect as we like it to be. This image is from the book cover which I scanned and retouched a bit with Photoshop to get rid of crackles and stains and such. Click here or on the image for a huge image of 4655 × 3183 pixels. Enjoy!